Even after a national championship season, it’s never too early to look ahead. We know, it’s the middle of January. But Clemson’s 2019 football schedule is hot off the presses, and there’s plenty of reason for Clemson fans to be optimistic heading into the next journey for another national championship. Is another undefeated regular season a real possibility? 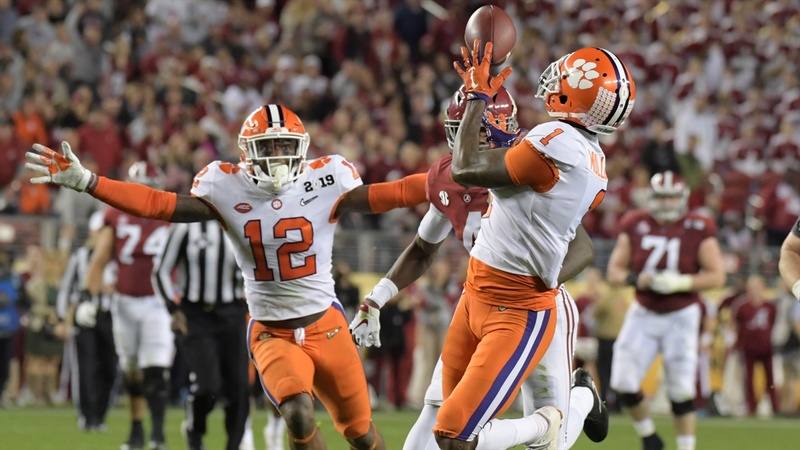 Here are three quick thoughts on Clemson’s 2019 draw. Clemson will travel to Syracuse during the third week of the regular season. -- Toughest stretch is right out of the gate. Defensive coordinator Brent Venables has his work cut out for him heading into the 2019 season. He’ll be replacing seven starters on his side of the ball, which means there are going to be quite a few players who will find themselves in a new role. Isaiah Simmons, who could have been drafted this year but decided to stay in school, will most likely be the anchor of Clemson’s defense. Xavier Thomas and Nyles Pinckney will be the players to watch on the defensive line as they fill the ginormous shoes of the four linemen from 2018. And this 2019 group is going to have to be on their toes as the season gets underway. Their first test comes against Georgia Tech at home on a Thursday night. With a new coaching staff to prepare for, things could be tricky as opposed to the triple option offense that Venables has dominated the past few years. Just look at what Texas A&M was able to do against Venables’ defense in College Station in 2018 when they didn’t have much tape to prepare for. Speaking of the Aggies, Clemson will face them week two. Jimbo Fisher has already proven himself as a fantastic offensive schemer and, like it or not, he out-schemed Venables a year ago. The Aggies will have Kellen Mond and weapons on the outside returning so it’ll be another tough task for the back end of Clemson’s defense just like how they escaped The 12th Man a year ago. And then there’s Clemson’s road trip to Syracuse week three. For whatever reason, the Tigers have had trouble putting together a good game when they visit the Carrier Dome. After falling to Syracuse on Friday, Oct. 13th in 2017 and the comeback victory against the Orange in 2018, Dino Babers and his squad will have nothing but confidence going into this one. This game, against a team that won 10 games in 2018, could most likely decide the ACC Atlantic division. Clemson will be favored in all three of these contests, but all we’re saying is that these are tricky opponents to prepare for to start the season. Back-to-back-to-back. If Clemson can play well through that stretch, they should set themselves up for a strong rest of the season. -- Two bye weeks fall at perfect times. When was the last time Clemson had two bye weeks in the same season? If you want to know, it was back in 2013 when Clemson had bye weeks following the South Carolina State game, before a Thursday night game against N.C. State. The Tigers then had a second bye after their matchup with Virginia ahead of a game against Georgia Tech, which was also a Thursday night game. The Tigers have their schedule set up to where they have not only have a bye week before two critical games, Florida State on Oct. 12 and South Carolina on Nov. 30, but they are also placed in just about the best spots. Clemson will play a 5-game stretch before its first bye week. Then, a 6-game stretch before its second. We know how Dabo Swinney likes to divide the season up into quarters and the way Clemson’s schedule is set up, there are four distinct quarters. Most importantly, Clemson will have a bye to regroup and focus before it enters its “championship phase” of the season. You could say it’d be nice if Clemson’s game against Wofford came on that day instead to build momentum towards the trip to Columbia, but a bye will give the players a chance to rest and get healthier if there are any lingering injuries. On a schedule where there are plenty of wins, the bye weeks being in prime spots of the season is another victory. 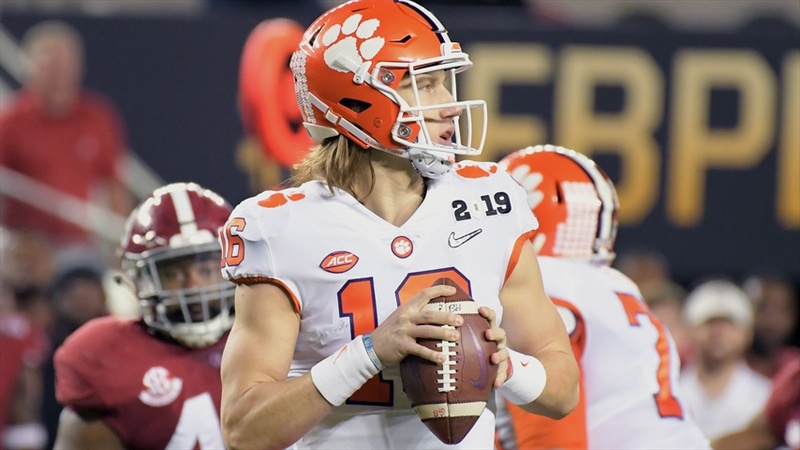 Trevor Lawrence looks to lead Clemson to another ACC Championship and College Football Playoff. -- Another undefeated regular season? Clemson has only had three undefeated regular seasons in its history: 1981, 2015, and 2018. Could Clemson have back-to-back undefeated regular seasons and head to the postseason with a 27-game winning streak? There’s no reason to believe that won’t be the case. 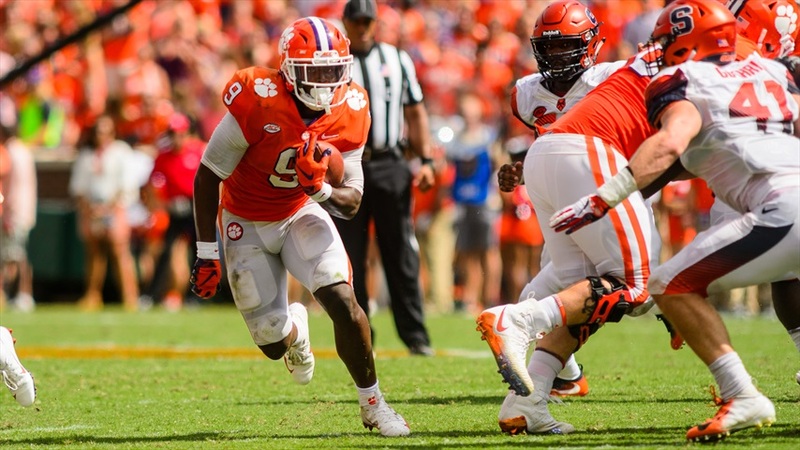 With a wavering Atlantic division still trying to make strides to keep up with the Tigers, Clemson looks to elevate its status and widen the gap between the rest of the conference. If Clemson can make it out of the first few weeks of the season unscathed, an undefeated season could be there for the taking. For a program that takes things day-by-day, week-by-week, it sure does seem on the outside like going undefeated feels like a foregone conclusion with where Swinney has elevated the program. Yes, college football is a crazy game and loves to punish those who make assumptions with emphatic chaos. Who knows? Clemson could slip up somewhere down the road where it isn’t supposed to. Just look at Pitt in 2016 or Syracuse in 2017. Clemson’s toughest opponent in 2019? Maybe it’s complacency. Because even though it’s extremely early, 12-0 seems to be right there for the taking.